I've seen quite a few "What's In My Bag?" posts over the last few days (specifically these from The Chelsea Way and College Prepster), so I was inspired to post my own! Today is the School Edition, aka what I always, always, always have in my bag before I leave my dorm room. I bought my first Lilly agenda last summer and I LOVE it. I chose the Large Agenda in Lucky Charm and it has been perfect. I like being able to write down everything I need to do for class, all my reading, and important dates! Plus it's the most adorable agenda you could possibly buy, and it'll never got lost in the bottom of the bag. I never leave my room without my phone, and I certainly never leave without headphones! If I'm walking around campus by myself all day I have to listen to music. I just got a pair that comes with a bright chevron case that keeps them from getting tangled in my backpack. I always have sunglasses with me, even if it's not sunny when I leave- you never know! This little Steve Madden wristlet (which I also have in purple) holds my phone, keys, and ID card. I can't get into my room without either of these, and this little wristlet makes it easy to run to dinner or the gym without bringing a purse. My new love/obsession/favorite item ever is my MacBook Air. I never carried my laptop to class because it was inconvenient, but my Air now comes with me everywhere. While I still love handwritten things, and I always carry a notebook with me to jot down notes, to-do lists, or blog ideas, it is beyond convenient to have all of my class notes and textbooks in a few apps on my computer. These are just a few of the things I carry with me everyday- my bag is always full, especially lately when I find myself heading out the door at 9 or 10 and not returning for 12 or more hours. You never know what you're going to need! 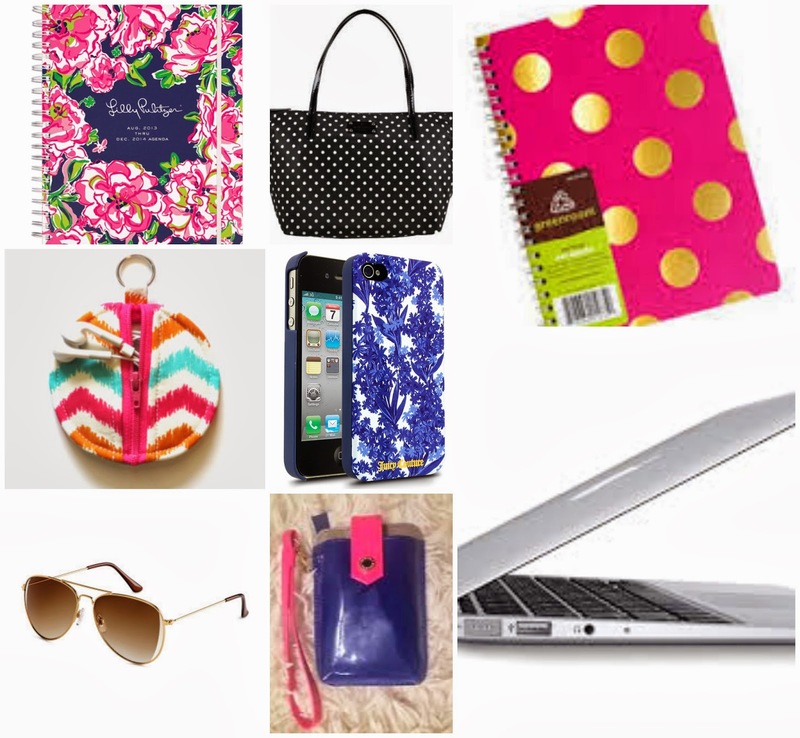 What do you always carry in your bag, either to class or just everyday?